Tired of fighting your kids to eat more veggies every night at dinner? 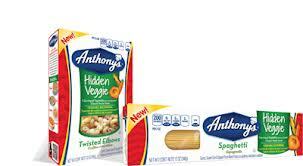 Anthony's provided our family with some samples of their NEW Anthony’s Hidden Veggie Pasta. With a full serving of veggies in every 4 oz portion, Hidden Veggie looks and tastes like regular pasta…bringing your family more veggies without the fight. Of course when any company makes claims like those, as a Mom, we are a bit hesitant. Let me tell you, next time I buy pasta, it will be Anthony's Hidden Veggie Pasta. I was very impressed. Personally I even liked it better than the normal pasta we buy. It had no taste of veggies, it really tasted like wheat noodles, which I loved. It had more of a thicker, filling consistency. My kids (who are 8 & 10) could not even tell the difference, in fact, they had seconds, and one even had thirds! 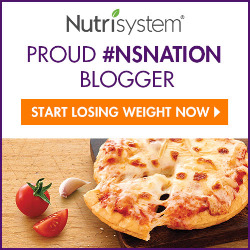 This product is Mommy Approved! Make sure you join their Facebook page where you can keep updated and sometimes even come up on some valuable coupons.